A long time ago (it seems) I had the idea to prepare integration of Connections with Xpages development via the SBTSDK. I thought this would be a good way to learn Connections and it’s API more in details. By setting up custom controls you would be able to build mash-up apps piece by piece. However there seemed to be little interest for this in the market (correct me if I am wrong) so I continued with other technologies. Lately Mark Roden posted a couple of posts on his blog regarding the social business toolkit so I hop on to this and post my previous work. Hopefully it can help someone getting started. 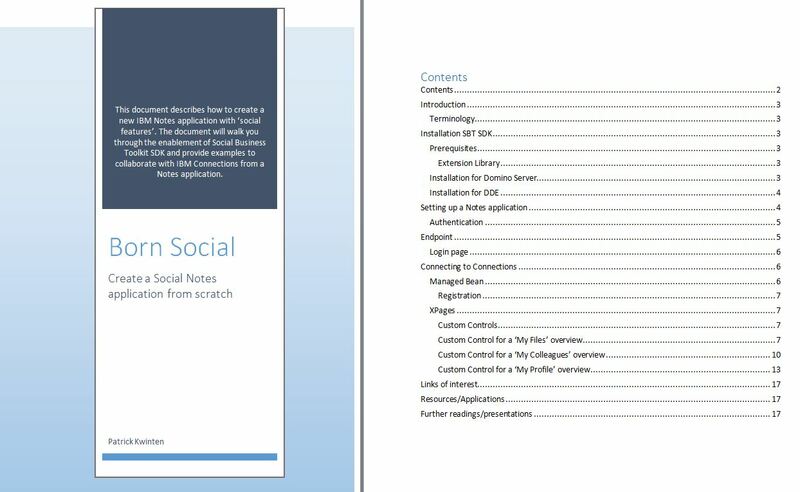 The document Born Social describes how to setup your server, development environment and application to get started developing with the SBTSDK. It also provide code samples of custom controls to display information from IBM Connections. Perhaps it helps to read some previous posts I wrote on the SBT SDK. The following file contains an NSF file with all the code, custom controls and some sample xpages. I hope the provided samples and guidance will help you to get started with the SBT SDK. Perhaps if more people debunk this mind-set at IBM, perhaps by sharing their samples, interest will grow. 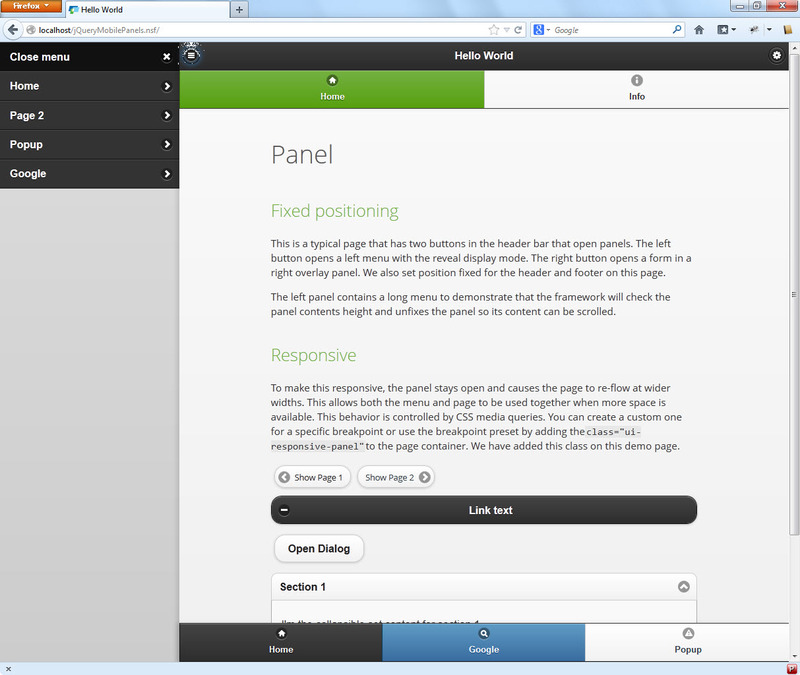 The last couple of days I have been ‘playing’ with jQuery Mobile and mostly with the panel widget. I have made some kind of starter-kit (NSF) to build a great XPages app for tablets/smartphones. I have setup a subset of custom controls which accept properties. A simple form in Notes you can use to setup navigation for header, footer and a vertical menu. You can download the (zipped) NSF on Dropbox. Please let me know if you experience any problems or if you have suggestions for improvement. Happy coding! 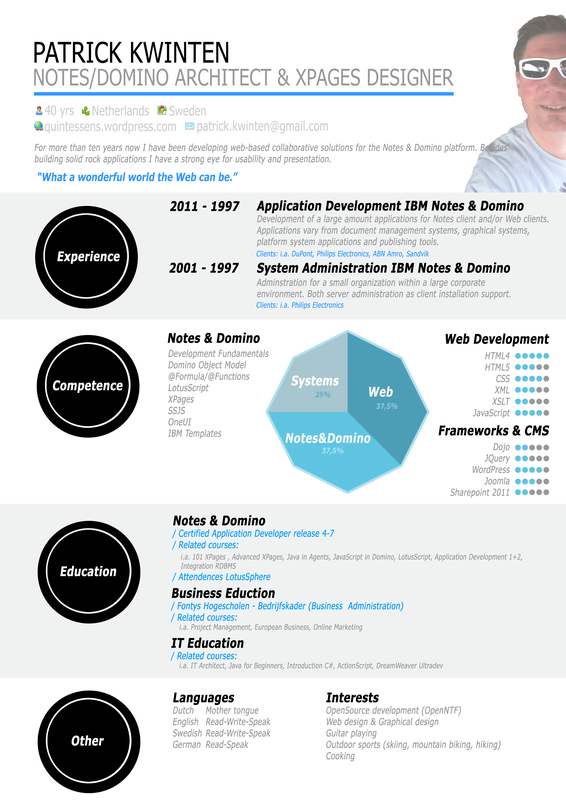 I am Patrick Kwinten and a IBM ICS Product Specialist since 1996. With this blog I am trying to give my contribution to the community. These posts project my personal opinions, not the company I work for. Domino2025 webinar – a technology U-turn? A project to upload and share images on your IBM Domino infrastructure. The XPages application consists of 2 files: a Design database and a Data-model database.